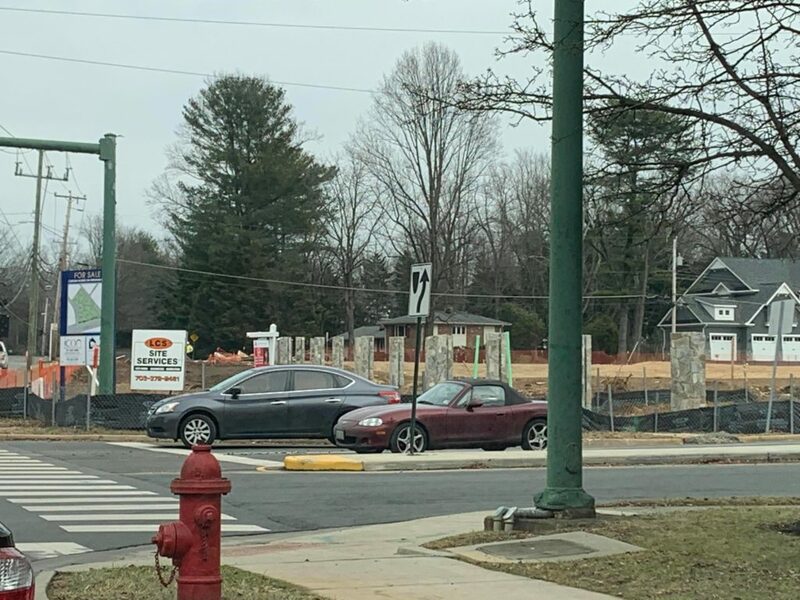 If you’ve driven east out of Vienna along Maple Avenue, you’ve probably passed a new subdivision under construction at the intersection with Follin Lane. Six lots are under development for the spot located around a small cul-de-sac off Mashie Drive. The project attracted some criticisms from Vienna officials when seven lots were originally being considered for the lot with direct access from Maple Avenue. While the houses could have been developed by-right, without extensive town approval, the developer changed the layout of the properties to reflect the feedback. The new designs also show a tree barrier between Maple Avenue and three of the adjacent lots. A new bus shelter is also planned to be built at the site as part of the agreement.